For those who expect the very best. Membership in this premier circle is offered each season at a fixed price. 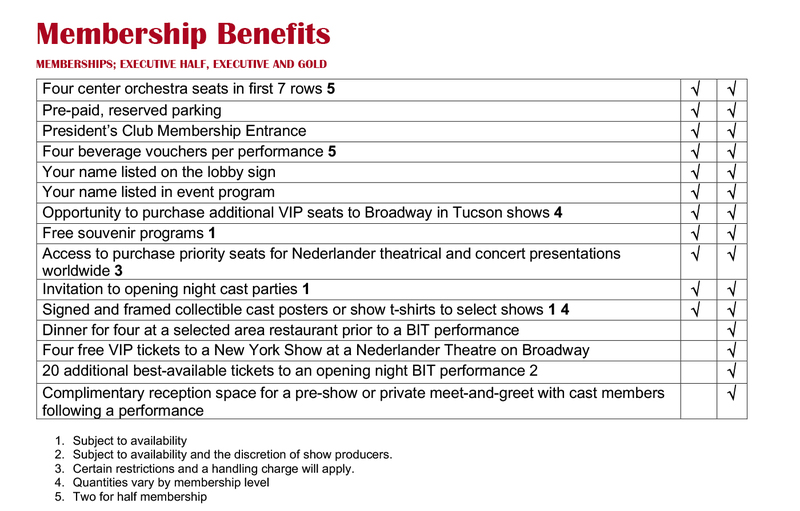 Benefits include four center orchestra seats for each show, complimentary beverages, reserved parking, signed and framed show posters and much more! Additionally, the President’s Club Gold Level membership provides even more special benefits for our valued members. President’s Club memberships start at $2250 for the Executive Half Membership; $3800 for the full Executive membership and $5275 for the Gold Level membership. Rates vary based on performance preference. Join the President’s Club today! To reach President’s Club Associate Moriah Baker about membership, call (520) 903-2929 ext. 4. As a performance host, your business can entertain staff or clients and also garner the attention of discerning theatregoers! You will receive twenty seats for you and your guests, space for your pre-show reception, signage in the lobby, an insert in the program and more! Here’s a unique opportunity to bring your business to the attention of discerning theatre goers and to gain broad, public visibility of your involvement! 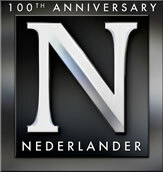 Your logo appears in advertising for the show you’ve selected, lobby signage and an advertisement in the program during the event. Plus, you’ll receive tickets for you and your guests, an opening night President’s Club membership that is perfect for client entertaining, and a host of special promotional opportunities including on-site displays of your product or service. Find out more!